1: If you have a wooden door then make sure you have a 5 Lever British Standard Deadlock fitted. 2: If you have a UPVC Door then you should have an anti-snap Euro Lock Fitted – Get in touch with one of our team at The City Locksmith Brighton for advice if you are not sure about sizes. 3: Invest In a dummy Camera or better still.. CCTV. Research shows that burglars are more unlikely to target your property if you have visible cameras or alarms on the front of your Home. 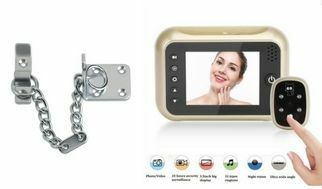 4: Chains and peephole cameras can prevent unwanted intruders from entering after knocking on the door. 5: Make Sure you regularly get your locks, alarms, cameras and other security checked over annually by a professional Locksmith. The City Locksmith Brighton offer a free survey to come and look over the security on your property and advise on upgrades and replacing any faulty locks that may cause you problems in the future. Thanks for reading! We are always here to give you a helping hand when you need upgrades or advice on securing your property with locks in Brighton. We would like to use our experience to make your inconvenience much easier so you can get back on with your life. If you have lost all of your car keys or locked your keys in the house, we are here to help! 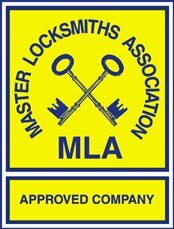 Members of the Master Locksmiths Association , we are Respected, Trusted and Recommended constantly by our customers. We invite you to watch our Brighton Locksmith video below and read what others are saying about us on google! Call our friendly Emergency Locksmith Brighton team now for an instant quote and genuine advice. Emergency Locksmith Brighton – Often, people don’t invest in the security of their home or business until they’ve been broken into. We offer a range of services here at Emergency Locksmith Brighton – from 24 hour emergency lockout and repair, to replacement car keys and home security checks. For anything related to locks and security, there’s only one locksmith you need and you’ve already found them. Whether you’ve been broken into or simply mislaid your house keys – you need an experienced and skilled locksmith to get you back into your home. Covering the Brighton and Sussex area, we’ll get to your property quickly to regain access and re-secure your home. Having your home broken into can be a traumatic experience with long lasting effects. That’s why we’re always on hand to replace your locks and assess your property for any potential security risks, to ensure you’re adequately protected before we consider our emergency call-out completed. As a fully fledged member of The Master Locksmiths Association, The City Locksmith Brighton are a fully qualified and vetted professional company who know the industry better than anyone. With a valid CRB check and a firm commitment to getting the job done right the first time, they pride themselves on working with great skill and delivering results in even the tightest of timeframes. Locksmithing is a centuries old profession that everybody will need at some point in their lives. Locks keep cars, properties, and just about everything else safe, but when they fail or need replacing they can cause all manner of headaches. By keeping things simple, focusing on customer services, and always turning up with the tools needed to do the job, no locked door or faulty lock will stand in the way for long. Need a Helping Hand with Same Day Lock Changes? 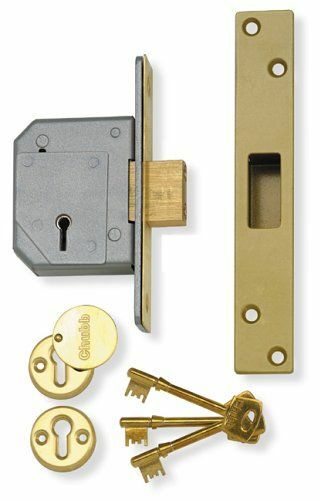 Changing faulty or worn locks is essential for ensuring the security of any home or business premises. With the same lock in use for years it can be difficult knowing how to make the change when the time comes. This is exactly why it is essential to always use a trained professional every step of the way. 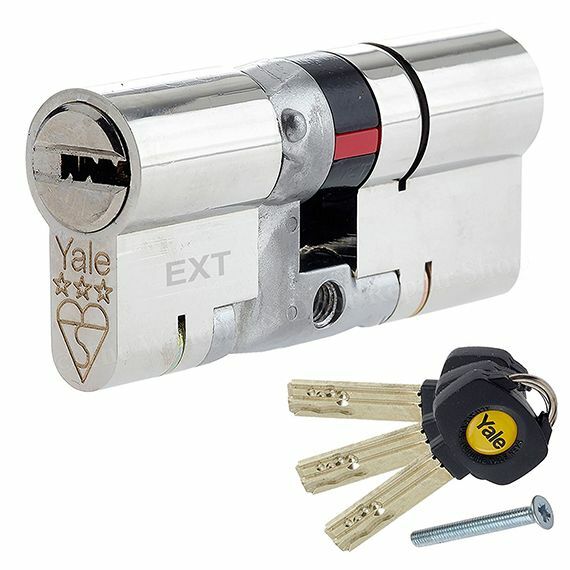 Same day lock changes and replacements have never been so easy. All it takes is one quick call to The City Locksmith Brighton, and the team will be on their way the moment they put the phone down. 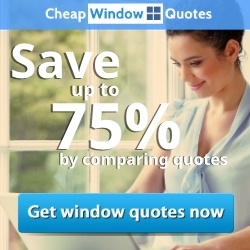 Perfect for providing the expert service that is ready and waiting whenever its needed. Need Emergency Car Key Replacement? Emergency car key replacement is a job that requires specialist skill, but when you find the right team no vehicle will be locked a second longer than necessary. Cutting spare car keys, opening locked or damaged vehicles, even tackling faulty van locks; no matter what’s needed The City Locksmith Brighton always makes sure the job gets done right the first time. For years The City Locksmith Brighton has been helping residents and hard working business owners secure their properties and providing the peace of mind that their locks are always in perfect working order. The number of burglary cases that could have been prevented each year with regular lock servicing is staggering, which is exactly why professional lock servicing is the flexible and affordable service everyone needs. Taking a proactive approach to maintenance, servicing, and lock changes is the proven way to improve the security and safety of any residential property or commercial premises. Just another reason why it pays to go with the name that Brighton trusts! Upgrading the security of a premises is about far more than getting spare keys cut in case one is lost. It’s about keeping an inventory of all the key holders, regular servicing, and identifying weak points that can be reinforced by upgrading the type of lock. No matter where the premises is and how often it is used, it always pays to have a master locksmith make the necessary changes and upgrades. Whilst UPVC windows and doors aren’t susceptible to the damp and drafts that their wooden predecessors were, the weak point still remains the locks that are used to secure them. With few people giving much thought to the ongoing maintenance and servicing requirements of these finely tuned mechanisms thieves and burglars are presented with a potential access point on countless properties throughout Brighton. There’s never been a better time to put security top of the agenda! Call Brighton’s #1 Master Locksmith today for the peace of mind that only an expert can provide. Been a Victim of Tool Theft? 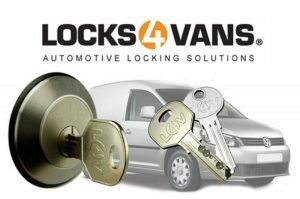 Tool theft from unattended vans is on the rise in the UK. With thieves increasingly focusing their efforts on soft targets that often contain thousands and thousands of pounds of specialist tools, being a tradesperson in the UK is becoming increasingly more difficult. The City Locksmith Brighton is committed to ensuring that every tradesperson can leave their vehicle parked in any location they need to, and never be without the peace of mind that the tools their livelihood depends on are always safe and secure. 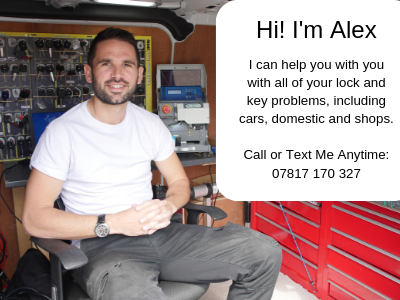 With a fully trained van locksmith that is available to do far more than just assist with emergency car keys replacement, Brighton’s van owners have never been so safe! When it comes to safeguarding the tools that pay the bills, it always pays to go with the 24 hour locksmith Brighton trusts! Feeling safe and secure in your own home is something everyone is entitled to. To ensure that the whole community has the expert help and assistance that it needs when it comes to home security, The City Locksmith Brighton is proud to offer a 20% discount to all OAPs. As a way of saying: “Thank you” to those people that built the community that everyone now enjoys, this a way of giving back and enabling everyone to feel safe at home. To receive the peace of mind that every resident of Brighton deserves, nothing compares to the service with a smile of The City Locksmith Brighton. Going keyless is something that an increasing number of businesses are doing, but to ensure security isn’t compromised it needs to be done the right way. Just because a digital lock is available online and doesn’t come with a traditional key doesn’t mean that anyone can carry out these types of lock changes. To ensure security is never compromised it always pays to go with a professional when opting to go keyless. There’s nothing like the peace of mind that only comes from a master locksmith giving everything the once over. To ensure that residents and business owners always have the expert advice they need, The City Locksmith Brighton team are always on the end of the phone to answer any queries, and to advise on any callouts. By always being ready and waiting to help with everything from lost car keys and faulty locks, to break-ins and scheduled maintenance, The City Locksmith Brighton is proud to ensure that everyone in the Brighton area has 24/7 access to the expert service they deserve. With a unique combination of years of master locksmith training and hands-on experience and a personal approach to customer service, the team makes sure that everyone has the help they need, when they need it. We’re here 24 hours a day, every day – often arriving with you within 30 minutes because we take your safety and security seriously. When you’ve mislaid your keys and locked out of your house, we’ll regain access using non-destructive methods. That means you won’t worry about having to replace the door or locks. We’re also up to speed with home insurance requirements – so if you’ve been told to get a 5 lever British standard mortice lock or sash window locks, you can be sure we know exactly what you need. Whatever the reason for needing a 24 hour locksmith, you can be sure that Emergency Locksmith Brighton has got your needs covered. Since January 2017 we’ve been able to offer vehicle locksmith services to the Sussex area too. 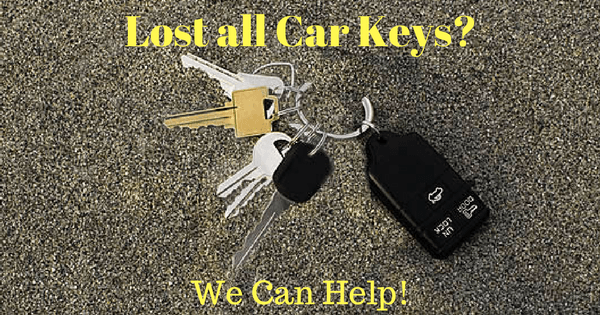 So if you have lost your only car key or just need a spare remote locking key cut and programmed into your car, we offer lost car key replacement in Brighton and you can be sure that help is at hand with Emergency Locksmith Brighton. 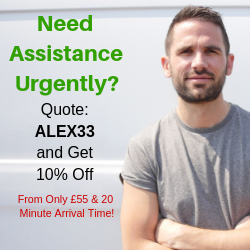 Our vans are fully equipped as a mobile workshop, enabling us to come straight to your home, workplace or the roadside within the Sussex area – and usually within 30 minutes of you calling us, 24 hours a day. From a lost car key to a damaged remote fob, we’ll get it fixed so you can get back on the road. As car keys become more sophisticated using complex technology, you might think it’ll be an expensive business getting replacement car keys or fobs programmed but we keep our prices competitive and our service friendly. We have all the latest car key cutting and programming technology at our workshop, enabling you to cut out the main dealers and come straight to us; and by cutting out the middle man you get it at a fraction of the cost too. If you need a vehicle locksmith to get you back on the Sussex roads quickly, you can rely on Emergency Locksmith Brighton for a fast and reliable response. Did you know that we also offer a 100% free risk assessment and security check of your home or business premises, in Brighton and the surrounding areas? 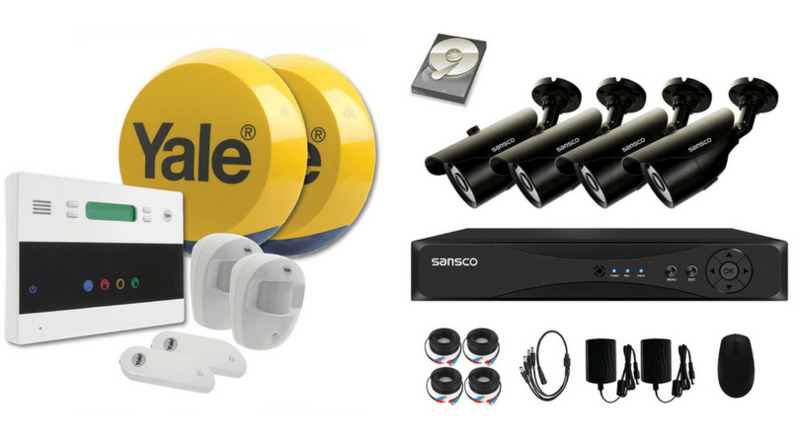 Sometimes it’s easy to take the security of your home or premises for granted. If you can lock the doors then it must be safe, right? But have you stopped to consider who might have keys for those locks? Previous homeowners, ex partners, disgruntled employees, etc. Do you still want them having access? Emergency Locksmith Brighton will visit your home or premises and check every point of entry, door and window, for security risk. We’ll then advise you on the best measures for your property and needs with absolutely no obligation to proceed – we’re just passionate about keeping the people of Brighton safe and secure. Whether you need a locksmith in Brighton for your car, home or business premises, we’re on standby 24/7 to help you when you need it most. You can also follow The City Locksmith Brighton on Twitter.